Many of the faculty members are insurance brokers, some are from insurer partners, and others hail from outside the industry but largely focus on insurance as analysts, consultants or other specialists. Their experience with leading uses of technology by the Canadian insurance broker community – or by others in support of brokers – will provide ideas, insights and advice you should find helpful as you move forward. Take this opportunity to discuss these points of view with members of the faculty and with your peers. Rub shoulders with the faculty and network with peers during the Tuesday evening ICTA awards ceremony and networking reception, to which all ICTC and ICBF delegates are invited. Below is the roster of confirmed ICBF2017 faculty members, which will be filled out with additional participants over the coming weeks. Johanna Allen began her career in the insurance industry over 20 years ago at Allen Insurance Group. After attending York University and George Brown College focusing on Human Resource Management as well as living and working in the UK for a few years, Johanna returned to her family brokerage and progressed through numerous roles including front line account manager, commercial marketing, IT and personal lines management as well as attaining her CAIB and CIP designations. Currently, Johanna is overseeing the transformation of Allen Insurance Group into a highly productive, progressive and enthusiastic people-centered enterprise. By providing leadership, vision, strategic marketing and planning, her team is promoting a culture of innovation, professional excellence, growth, respect and collective spirit in a sales oriented environment. Matt and fellow co-founder Lance Miller launched Surex Direct in 2012. Seeing a potential niche in the insurance industry, Matt and Lance set out to revolutionize the industry from their hometown of Magrath, Alberta (population 2,300). Still headquartered in Magrath, Surex Direct offers insurance in five provinces (soon to be six, with Ontario on the cusp) and two territories. Surex Direct was recently recognized outside of the insurance industry for their growth, placing 30th on the 2016 Startup 50 Canada list. With nearly 15 years of insurance technology experience, Bryan previously held positions of increasing scope and responsibility across Marketing, IT, Audit and Underwriting with Kingsway Financial Services Inc., and Unica Insurance. He can also draw on his experience as a co-founder of a digital/new-media company which he helped run for 6 years prior to joining the insurance industry. His entrepreneurial mindset and capacity to innovate have contributed significantly to a number of successful projects in the Broker channel. Bryan holds a Bachelor of Science degree, a diploma in Ecosystem Restoration, the Canadian Risk Management designation (with Honours), his FCIP (with Honours as the top student in Canada) and was the sole recipient of the CIP Society's 2015 National Leadership Award. He has shared the stage with senior industry executives and analysts at the ACORD/LOMA, IASA, ICTC and ORBiT conferences and contributed to articles in a number of industry publications. Mark Breading, a Partner and Chief Research Officer at SMA, is a recognized expert in advanced technologies and their implications for the insurance industry. His specialty areas include the customer experience and analytics. He has exceptional knowledge and experience in many dimensions of the customer/producer experience, including omni-channel, customer communications, mobile technologies, CRM, digital content management, and contact centers. He has broad experience and insights in data and analytics, including business intelligence, advanced analytics, and big data. Mark has more than 30 years of insurance and information technology experience in a variety of leadership roles. Mark is well known for his perspectives on innovative uses of technology in insurance and the future of the insurance industry. Mark leads the research program at SMA, and has exceptional knowledge and experience in all aspects of advanced technologies and solutions that provide value across the insurance enterprise – including analytics, customer communications, enterprise content management, telematics, and mobile technologies. He has held both technical and business roles in sales, consulting, marketing, and business strategy, including roles as IBM's Global Insurance Strategist, Global Insurance Marketing Leader, and Director of Global Executive Conferences for insurance and banking. In these roles, he has advised C-level executives around the world. Mark is a graduate of Bucknell University with a BSBA in Accounting and a graduate of IBM's Systems Research Institute with a major in Software Systems. He also holds an MBA in International Business from Liberty University. Randy is an innovative, strategically focussed advocate and architect of value creation. He is a seasoned leader who has worked with the highest level of federal and provincial politicians, government and regulatory officials, industry leaders, corporate and volunteer boards of directors, and top talent of all stripes in the pursuit of association and industry excellence. He is a seasoned veteran of the property and casualty insurance industry and has extensive experience in a range of insurance related organizations, from multiple vantage points, giving him unprecedented industry insights. During his insurance career he has been an insurance broker, insurance brokerage owner, manager and CEO of Canada's largest Insurance Brokers Association. Randy is no stranger to the Fintech space. Since July of 2015 he has been an integral part of the ClientDesk team. He is still engaged with Brokers and has a number of projects on the go with Brokerages in his capacity as Business Consultant for Select Strategy Group. In his spare time he teaches Insurance Trends at Durham College to students enrolled in the 2-year business insurance program. Sean is Practice Leader of HUB International's Technology and Life Sciences Practices. He also focuses on D&O, Cyber and global risks. He joined HUB HKMB in 1998 and has been involved with companies in the knowledge economy throughout his tenure there. Sean obtained his Chartered Insurance Professional (CIP) designation and his Canadian Risk Management (CRM) designation. He completed Schulich's Executive Management Program in 2002 and is currently President of the Toronto Insurance Conference and a Director of the Insurance Brokers Association of Canada (IBAC), where he chairs the technology committee. Gary is a seasoned sales and marketing executive, leader, and innovator with more than 35 years of experience. He works for Crawford & Company, one of the world's leading providers of claim services, business process outsourcing, and consulting solutions, and is responsible for both the global and domestic sales and marketing team. Gary has a wide range of experience in the industry, with his specialties lying in Property & Casualty, Third Party Adjusting, Disability, WCB, BPO, and Data Management. A native Calgarian, Sherif Gemayal is the founder and president of Sharp Insurance, the fastest growing insurance brokerage in Alberta. Since Sharp's inception in 2009, it has grown from a two-person business to a brokerage that employs forty highly-trained individuals, and is also ranked among Canada's top ten insurance brokerages. Sherif strongly believes in using the latest technology platforms to stay competitive in the insurance industry which has led to the creation of his software company, Sharp Mobile Technology Limited. The development of the iMobileBroker app and the BrokerScape portal has witnessed significant results in reducing calls, increasing sales, and promoting customer loyalty. Sherif continues to work on developing new software that seeks to improve and transform the insurance brokerage industry in Canada. A keen analyst of computer and networking evolution for more than 30 years, Doug is cognizant of the changes that are occurring in the Internet insurance world and their impact on the industry. He has been helping the insurance industry in Canada make effective use of technology for many years. From a business-impact and application perspective, he has helped individual companies and cross-industry groups in both Property & Casualty and Life insurance. Doug is a founding partner in Insurance-Canada.ca, a leading Canadian insurance resource centre for consumers and insurance professionals alike. As a frequent industry speaker, columnist and consultant, he brings a unique perspective to his sessions and discussions. Cindy Gravelle is Vice President of Commercial Insurance at Youngs Insurance Brokers Inc. She oversees the commercial lines operations for 6 offices, including establishing and implementing education directives, and she is responsible for continued organic growth within Commercial Lines. In addition, Cindy provides mentoring to all the Commercial producers throughout Youngs Insurance's 27 offices across Ontario. With more than 30 years of experience in commercial lines, Cindy has held numerous roles throughout her career. As President of the St. Catharines Insurance Brokers Association, and Past President of the Niagara Falls Insurance Brokers Association, Cindy is passionate about protecting and developing the Broker Channel as well as working towards managing and thriving within the Digital Commercial World. Adam Hare is the current COO for both Petley-Hare and Insurance Jack, responsible for innovation and strategic growth initiatives. In 4 short years, he has transformed a traditional business model into an established online player and has launched a completely new division of the company. A 90-year-old business that was started by his grandfather, which serviced customers only in Oshawa, has now expanded their geographic footprint and has created relationships with new clients across the entire province, with plans to grow across the country. Adam had a successful career in marketing and media with Universal Music Canada prior to joining Petley-Hare in 2012. He was named the 2016 IBAO Young Broker of the Year and was also responsible for Petley-Hare’s being named a CSIO Technology Leader for 2016. Adam sits on the Board of Directors for the Insurance Brokers Association of Durham Region and is on the Insurance Program Advisory Committee at Durham College. He is also the current Chair for the Young Entrepreneurs & Professionals Committee at the Whitby Chamber of Commerce, and an Executive Advisor for Lakeridge Health’s Launchpad Committee. An accomplished senior leader with over three decades of insurance experience in the management, ownership and leadership of an independent brokerage, Karen has consistently exceeded challenging organization expectations across a highly competitive market, outperforming year over year results. With a keen eye on the development of employees through education and technology, Karen has lead her business to a digital platform, achieving the Applied Systems Digital Brokerage for 2016 accolade. Over the past 24 months Karen has strategically planned and implemented a complete digital solution for the business, and acts as a resource now for other brokers embarking on their digital journey. For the past 20 years Amanda has been involved with industry leading companies to bring innovation and technology to the broker channel. Being a strong leader of the industries transition to paperless workflows, Amanda has been constantly seeking out and innovating new and better ways of doing business. Today's consumer is constantly evolving and Amanda has been able to ensure the brokers she works with stay relevant. In addition to our consumers recognizing us as the industry leader, Mitchell & Whale continues to be recognized by the industry, winning awards such as IBAO Innovator of the year 2016, CSIO Technology Leader 2016, 2016 Insurance Business Top Brokerage amongst others. President & COO, Kanetix Ltd.
As Chief Marketing Officer and Chief Strategy Officer, Andrew Lo leads all marketing and corporate development initiatives for Kanetix Ltd., Canada's largest online marketplace for insurance and financial services. He is also a Business Strategy Advisor for Ryerson University's DMZ helping to develop entrepreneurs and startup companies at Canada's largest startup incubator. Andrea Masterton has been with eSignLive™ since 1999 and holds the position of Corporate Marketing Director. In this role, she oversees industry marketing strategy, market awareness and demand generation within key industry segments, specifically insurance, banking and financial services. Andrea's 15 year experience in the electronic signature market includes producing more than one hundred educational webcasts and seminars, authoring dozens of white papers, and active participation in industry electronic signature and process improvement workgroups such as ACORD, Life Brokerage Technology Committee, Life Insurance Direct Marketing Association and IRI. As the Principal Broker for KTX Insurance Brokers Ltd., Darryl May is the leader of Canada's first online brokerage. With a focus on strategic growth through online channels, and improving the digital client experience, Darryl has a true passion for leveraging technology to provide customer-centric solutions for the brokerage's customers and partners. Darryl joined KTX in 2006 and has nearly 15 years OF experience in the insurance industry, progressing through a number of sales, client relation, underwriting, and management roles. Darryl holds a CIP and is a graduate of Queen's University. Ed is known as an innovative, collaborative leader that is passionate about evolving broker's business. Brokers know that Ed has a thirst for technology and is an avid early adopter. He constantly wants to explore new ideas that can drive business value for both brokers and the company side of the insurance business in Ontario. Ed is a constant champion of the broker value proposition. He is extremely involved in the broker community where he helps to inspire and share innovation. Working with Aviva's Digital Marketing Consultancy he is connecting brokers to business advisors and agencies that can help brokers evolve. Understanding that there is a need for a digital transformation within the insurance industry, Ed does not lose sight of the importance for traditional methods of communication, whether that is a phone conversation to work out a problem or driving across Ontario for an in-person meeting. Leen Meyer is the co-founder and managing partner of Belyer Insurance Limited o/a EasyInsure. He co-founded Belyer in 2005 and has been the Principal Broker for the P&C, Life & Health operations nationally since 2010. He is well versed in life, health, surety, personal P&C, small, mid-market and complex commercial P&C, Professional Liability, Warranty, and GAP insurance. He graduated with Honours Bachelor of Commerce from the University of Windsor, Insurance Business Executive Program (Aviva) from Ivey School of Business - Western University, and Insurance Business Executive Program (Aviva) from Schulich School of Business - York University. He completed his Chartered Insurance Professional (CIP) Designation in 2010 with the Insurance Institute of Canada and will complete his Fellowship (FCIP) at the Insurance Institute of Canada in March 2017. Leen and his business partner were also named finalists in the prestigious Ernst and Young young entrepreneur of the year (30 and under) category in 2015 for their achievements with the Belyer group of companies. 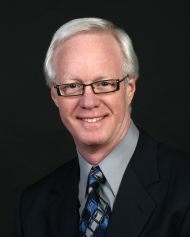 Bill is a Senior Partner at Navicom and has executive responsibility for Navicom's insurance and hospitality business. Navicom's goal is to help its clients understand customer decision making, create differentiation and build competitive advantage. Bill has been extensively involved in a variety of different market research and customer measurement initiatives within the Canadian Insurance Industry for over 20 years. He has been working closely with IBAO and Ontario brokers since 2001. Most recently Bill has played a leadership role in the development and facilitation of the Beyond Best in Class Transformational Change Workshops and worked closely with IBAO to develop Understanding the 21st Century Consumer and Connecting in the 21st Century workshops. Bill and Navicom remain committed to working diligently with key insurance industry stakeholders to develop new strategies and tactics to ensure the ongoing success of the broker distribution channel. Sam is the CEO & President of Bullfrog Insurance – Canada's first online insurance brokerage focused on Small Business – where clients can get a quote and buy business insurance online in 90 seconds. With 20 years of leadership experience in Management Consulting and Business Transformation he is a strong business leader with expertise in managing large enterprise transformations, start-ups and strategic projects in the banking, insurance and public sector. Sam brings a wealth of expertise in digital & social media marketing, strategy consulting, web applications, client relationship management (CRM) and technical infrastructure. His extensive knowledge and skills have enabled him to achieve a consistent track record of success and he thoroughly enjoys the challenges of building and running startups. A graduate of Université Laval, Sam is fluent in English & French and capable in several other languages. He currently resides in Mississauga, Ontario and has served on projects around the world including New York, Toronto, Montreal, Cape Town, and Johannesburg. Kim has more than 30 years of experience in the Canadian insurance industry in both the life and property/casualty fields. His experience ranges from broker principal, IT Manager and VP of Business Development with one of Ontario's largest P&C brokerages and most recently Applied Systems as Product Manager for the Canadian implementation of Applied TAM and Applied Epic. He's led successful data integration, network infrastructure, document management, and VoIP phone projects. Kim has done private research for an industry think tank on Broker Management Systems for the exclusive use of some of Canada's most prestigious insurance brokerages. Kim is on the board of ORBiT Canada and is also Vice-Chair for two Non-Profits providing affordable housing in Hamilton. He has also served as an IBAO Chapter President and Past President of his local Chamber of Commerce. Managing Partner, Pathway Partners, Ltd.; getClarity, Inc.
With more than 25 years of experience in the insurance technology marketplace, Greg brings a unique perspective on how to build a successful company. In 17 years as C.E.O. of Applied Systems Canada Greg oversaw the growth in the Canadian marketplace from 200 brokers to over 1200. In 1992 Greg added the responsibility for international development and successfully established the UK operations with The Agency Manager UK. In 2008, Greg formed Pathway Partners Ltd. with Michelle Cole-Kennedy to advise brokers on a wide range of operational and strategic topics with an emphasis on mergers and acquisitions. In 2011 Greg played a key role in the launch of getClarity Inc, a business intelligence company that focuses on bringing sophisticated demographic and statistical analysis to businesses of all sizes. With over 1.7 million records of new data on a monthly basis getClarity identifies timely market opportunities and as a result maximizes the return on investment. Greg is the founder of the Canadian Insurance Strategy Group, which can be found on LinkedIn. Bill Redford is the Vice President of Product Development at Keal Technology. In this capacity, he manages the development of Keal's entire suite of solution. Bill has been with Keal since 2007 and has served in this position for the majority of this time. Bill has a 20+ year history in information technology. Prior to working for Keal Technology, Bill held financial, IT and operational management positions in several businesses. He spent most of his career working in leading edge technology companies centered on e-commerce in Canada and the United States. Creating, automating and streamlining processes dealing with systems have been his focus. Sitting idle at his desk pushing paper? Not an option. Instead, Jeff Roy careens head-on into action with the reckless abandon of a 16-year-old who has been handed the keys to mom's minivan for the long weekend. If the results don't turn out as expected? Then a tire smoking handbrake-turn changes course without losing momentum. He experiments. He refuses to wait. He's always willing to share. He believes a willingness to fail is the key to growth. Customer Experience 3.0 — we'd like to introduce you to Jeff Roy. Beth has passionately providing operational solutions to insurance brokerages since the start of her career over 25 years ago. Her unique skill is to solve workflow challenges with creative solutions, gaining her the reputation as "someone who makes the technology work". She has served in senior operational leadership roles responsible for project implementation including workflow design, training and technology solutions. Now, a partner with Efficient Broker, Beth enjoys working with brokerages across Canada to help them gain operational efficiencies, enhance system functionality knowledge and construct solutions that work. Beth has been active with ORBiT since its inception by leading various working groups. She led the Electronic Document Transfer team in successfully moving forward the initiative which is now broadly known as eDocs. She sits on ORBiT's Board of Directors and continues to actively promote real time solutions for brokers. Colin Simpson is currently the Chief Executive Officer of the Insurance Brokers Association of Ontario (IBAO) and Independent Broker Resources Inc. (IBRI), IBAO's “for profit” entity. Previously, Colin was President & Chief Executive Officer of Intrinsync Insurance Solutions Inc., a company founded in 2012 with the mandate to develop real business solutions to improve the sustainability of the Independent Broker Network in Canada by making the brokerage of the future more competitive. A longtime proponent of the Independent Broker Network and Canadian Insurance businesses, Colin specializes in corporate transformation and change management. He has worked in the Canadian Insurance industry for over fifteen years and is a seasoned corporate executive and director. His recent roles have focused on the North American P&C market and have included leading Kingsway Financial Services Inc. as President & Chief Executive Officer through, arguably, the most turbulent period of its corporate history. Colin has held other senior executive roles that have leveraged both his strategic and operational capabilities including President & Chief Executive Officer of York Fire & Casualty Insurance and as Director of a number of independent Trusts formed to raise capital for the Kingsway Financial Group. Colin holds an Honours Degree in Business Law and Economics, a Master's Degree in Accounting & Finance and is a qualified CA (Scotland). Ryan Spinner heads up the Digital and Innovation initiatives at Aviva Canada and is responsible for Aviva Ventures in Canada. Ryan is excited by the intersection of tech and the insurance industry, and has been a key player in building an InsurTech ecosystem in Canada. Justin Thouin is the Co-Founder and CEO of LowestRates.ca. Justin started the company in 2012 following a successful career as a Senior Executive with two prominent entertainment and technology organizations. He also created a thriving Executive Consulting practice prior to founding the company. Justin holds an Honours Degree in Commerce from Queen's University. Patrick is a founding partner of Insurance-Canada.ca with more than 25 years of experience enabling technology and electronic commerce in the risk management and insurance communities. Patrick currently serves as Insurance-Canada.ca's Director of Products and Services and sits on the company's Advisory Board. He edits the Intersection, Insurance-Canada.ca's blog, produces and hosts on-line and in-person events, and develops bespoke offerings for Insurance-Canada.ca's clients. Prior to his current role, Patrick held positions of increasing scope and responsibility with insurance companies, consulting firms, and technology solution providers. He served as Director of Information Technology for the Frank Cowan Company Limited, Canada's premier provider of public entity risk management and insurance services, where he carried management responsibility for all information technology development, infrastructure, and support. Wendy has been in the insurance industry for more than 30 years, covering both the direct writer and brokerage sides of the business. Having garnered experience in underwriting, developing system user requirements and conducting systems testing with a direct writer, Wendy made a move to the brokerage side, where her abilities landed her as Vice President of Operations for a highly regarded full-service brokerage. Wendy has represented brokers as a Beta broker for Applied Systems, then as an active member on the Canadian Interface Ad Hoc Committee of ASCNet for Applied Systems. Playing an active role in the Real Time Broker Expo hosted in Cambridge on September 16th, 2008 lit a fire to really drive real time in Canada. This passion to continue educating brokers on what is possible through the use of Real Time functions resulted in the birth of ORBiT. As President of ORBiT, Wendy has facilitated a significant increase in collaboration amongst participants in the broker distribution channel. This collaboration is key to the ongoing development of Real Time best practice workflows, which in turn enable the education of brokers and other stakeholders. Turning what could be into what is! As the Vice President of Marketplaces, Janine White leads the sales and operations for Canada's largest online marketplaces for financial services. Janine joined Kanetix in 2001 after completing an MBA from the Richard Ivey School of Business at the University of Western Ontario, specializing in ecommerce. With almost two decades of experience working in the insurance and financial services world, Janine is an expert at bridging the gap of understanding between consumers and the financial products available to them. A consumer first, Janine has spent her career making financial services more accessible to Canadians through Kanetix. Janine joined the company not long after its inception, and has been with the company through its various stages of growth and success. She has been part of almost every area of Kanetix, including leading the charge on business development, spearheading the company's early digital marketing programs, ensuring the highest quality of partner management, and even serving as one of the company's first bookkeepers. Prior to joining Kanetix, Janine held several roles as at Scotiabank in Canada and spent time working in the railway industry in the UK. Individual outlines of the presentation topics can be found on the ICBF2017 Topics page.